The power output of a wind turbine is directly related to the area swept by the blades. The larger the diameter of its blades, the more power it is capable of extracting from the wind. Rotor Diameter – This number is listed on most wind turbine spec sheets. It is simply the diameter the blades cover. Swept area –This refers to the area in square feet of the rotor. It is also called the 'capture area'. pi x Radius² = Area Swept by the Blades. Now let's go over the basic relational facts surrounding wind power and what they mean to you. Some of these things have been mentioned before but we will look at them as a package. Energy in the wind is not linear. Double the wind speed and the energy increases not by double but by a factor of 8. As speed increases the power is increased by a cube factor. Energy captured by the rotor is linear. If you double the swept area, you double the amount of energy it can capture. This means if we want to compare similar turbines, we need to use the formula to get the swept area if the rotor diameter is different. Let's double the rotor diameter and see what happens to the swept area. The rotor diameter doubled in size but the swept-area increased by four times. Let's look at the difference that just one foot in rotor diameter makes. Calculate the difference in a 9 foot vs 10 foot diameter. A one foot increase in diameter yields a 23% increase in swept area. A wind turbine is all about harnessing wind energy and the most common way is to increase the area of collection. Now we have a starting point to view comparable machines. Here are some terms you will see in regard to power production in a unit's specifications. Start-up Speed – The speed when the rotor starts to turn. This number is not relevant to power production. Cut-in Speed - The speed when the turbine starts to produce power. The only problem with a low cut-in speed is that there is really no power in low winds. There is no reason to be excited if a turbine is featured to have a low cut-in speed. Rated Power - This is typically how much power is being produced at a turbines rated wind speed or the governing speed. The power rating for a wind turbine has to be one of the most misunderstood and over quoted aspects of a wind turbine. The rated output or rated power is a maximum that is typically achieved by the turbine. The power output can be more or it can be less than the stated rating. 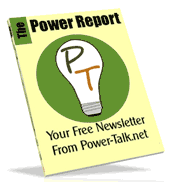 There are several factors that can result in a variation of power production. One is the density of the air. Think of the air in relation to water. Water is denser than air, it has more molecules packed closer together. Anyone who has stood in a river understands the power that is in the flow of water. A strong current can make standing very difficult if not impossible. Keep in mind that a current of water that is strong enough to cause considerable force against your body is measured as several miles per hour. If you are in a 10 mph flow of water you feel the push of it against your body. If the wind is blowing 10 mph you may notice your clothes getting ruffled but there is no noticeable physical force that is trying to move your body. The air is most dense at sea level and thins with increased altitude. The same is true for temperature. Colder temperature means denser air. Denser air means more molecules and more molecules mean more push on the blades for a given air speed. During the winter, the turbine should produce more power than in the summer at the same average wind speed. The opposite is also true. As the temperature or altitude increases, so will energy output. Most likely the published output for a turbine is going to be shown for a standard day at sea level and 68 °F. Altitude and temperature is something you will have no control over unless you plan to move to a different location. It is just good to be aware that at a high altitude in the summer, a turbine is simply not going to show factory specifications for power production. Now, so far we have gone over what affects the maximum rated power. The other component in output rating confusion is really just a misunderstanding of how a turbine goes about its daily business. When the wind starts to blow, the turbine does not simply click on and start producing the rated output like an engine driven generator does. It produces increments of power according to the energy in the wind and how much swept area the rotor has to collect that energy. Low wind, low production. High wind, high production. Let's look at a typical power chart to get a realistic idea of what a typical turbine output may be at various winds speeds. 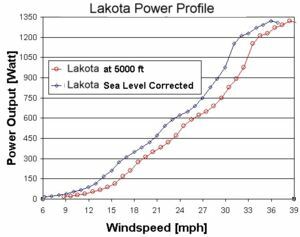 The Power Profile, also referred to as the Instantaneous Power chart, is a good visual reference to see the production in watts relative to the wind speed. Not much is happening at the lower end of the chart. Even between 12 and 15 mph, what might seem to be a nice breeze has relatively little power output. It is easy to see that a fairly strong wind is needed to produce anything near the published rated output that we can so easily get fixated on. A monthly or annual energy production output is something more usable to the consumer. 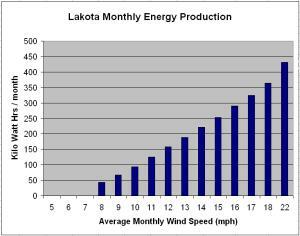 The average wind speed versus a steady wind speed can make quite a difference in overall production. The average is going to include higher wind speeds which contains much more power than the low speeds. Since the energy in higher wind is a cubed factor, small increases mean big power jumps. It can be viewed as a weighted average. If you take the power produced at a given wind speed in the instantaneous power chart and multiply it by the number of hours in the month, you will underestimate the probably output by up to 100%. You see that rated power, the number often associated with a wind turbine, is little help in determining what you can expect from yours. To further stress this point, the wind speed at which the rated power is achieved varies between models which complicates matters even more during shopping. The other two terms, Start-Up Speed and Cut-In Speed are easy to ignore now that you have seen the instantaneous power chart. 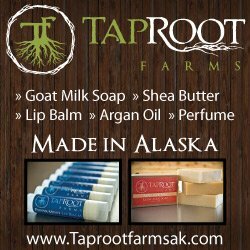 It really doesn't much matter if the start-up is 6 mph. There is just not any meaningful power at low speeds.